20/08/11 -- You'll all be pleased to hear that I'm back safe and sound from a ten day intensive Portuguese lager sampling and fact finding mission, none the worse for wear. Physically. What has taken a brutal hammering however is my pocket. Is it answer one: being asked to pay 205 quid to buy 200 euros at Leeds Bradford Airport. Answer two: having to pay EUR5 for two cans of Fanta at Mr Yummy Tummy (or something like that), Faro Airport. 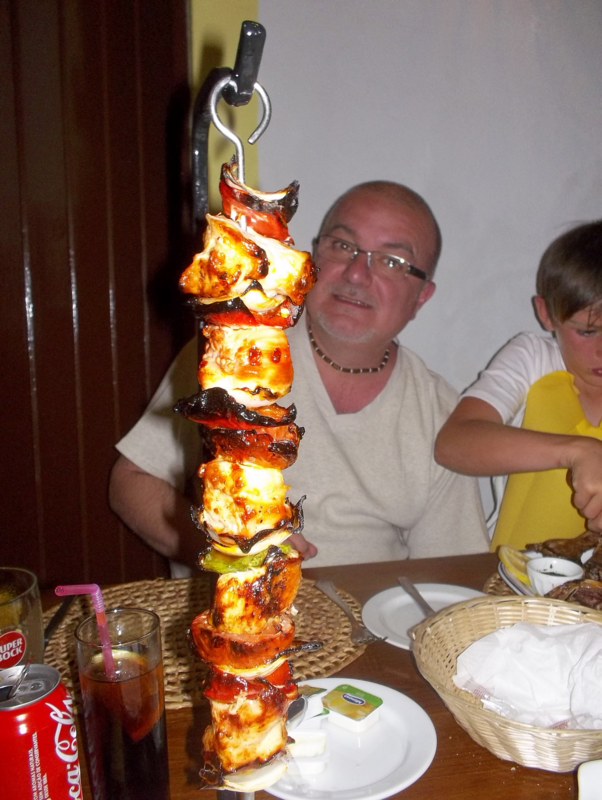 Answer three: looking at the price board in astonishment at Mr Happy Grill (again, or something like that) in Faro's departure lounge to see that it was 14 euros for a cheeseburger meal! 19/08/11 -- Corn: Sep 11 Corn closed at USD7.11, up 12 cents; Dec 11 Corn closed at USD7.25 1/4, up 12 1/4 cents. Sep was 9 1/4 cents higher on the week with Dec up 10 3/4 cents. Crude was higher on the day but finished the week the best part of three dollars/barrel lower. Next week sees the Pro Farmer crop tour kick off on Monday. The trade will be looking for confirmation of what it believes is out there, namely lower potential yields for corn. 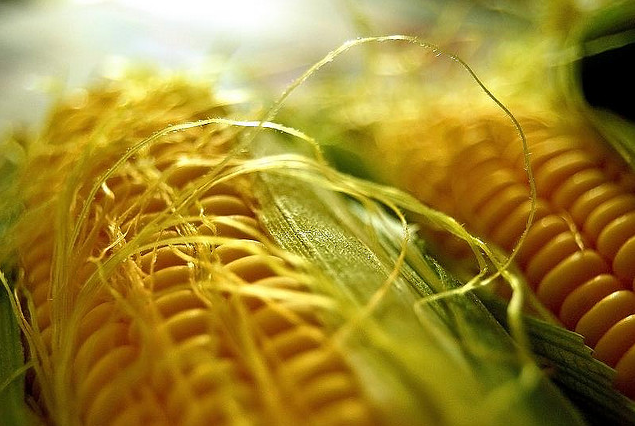 The USDA confirmed the sale of 140,000 MT of corn to Japan. Soybeans: Sep 11 Soybeans closed at USD13.59 3/4, up 7 3/4 cents; Nov 11 Soybeans closed at USD13.68 1/2, up 7 1/2 cents; Sep 11 Soybean Meal closed at USD354.10, up USD1.10; Sep 11 Soybean Oil closed at 55.39, up 12 points. On the week as a whole front month beans were up 22 3/4 cents, with meal up USD5.50 and oil up 79 points. "Hardly any rain has occurred this month in key producing areas of Minnesota, Iowa and Illinois. We figure one-third of US soybeans are at risk for a very low yield unless heavy rain arrives soon," say Martell Crop Projections. Wheat: Sep 11 CBOT Wheat closed at USD7.30 3/4, up 23 cents; Sep 11 KCBT Wheat closed at USD8.19, up 24 cents; Sep 11 MGEX Wheat closed at USD9.45 1/4, up 34 1/2 cents. Minneapolis was again the leader putting on 84 cents on the week. Chicago rose a more modest 28 1/4 cents, with Kansas up 23 cents. The general consensus is that the US spring wheat crop will be lower than the USDA currently projects. The trade is also mindful however that the US is losing export market share to Russia. 19/08/11 -- EU grains finished higher supported by afternoon gains in Chicago with Nov London wheat closing up GBP1.05/tonne to GBP163.55/tonne and Nov Paris wheat ending EUR4.25/tonne higher at EUR201.75/tonne. On the week overall London wheat was up GBP0.40/tonne and Paris wheat EUR3.00/tonne firmer. On the month so far London wheat is down GBP0.10/tonne, whilst Paris wheat is up EUR4.00/tonne. Global economic worries continue to dog the stock market with the FTSE100 down 13% on the month so far, with losses on the French Cac at 18% and the German Dax at 24%. Clearly, the grains sector has done well to hold or even appreciate slightly under these circumstances. How long they can resist if outside markets continue to fall remains to be seen. The fact that they've managed to buck the trend thus far would suggest that a recovery in equities would see grains rally, possibly significantly. Personally however I wonder if this is merely just the start of a hefty roller-coaster slide into the dreaded double dip recession, which I feel would likely drag grains down with it. 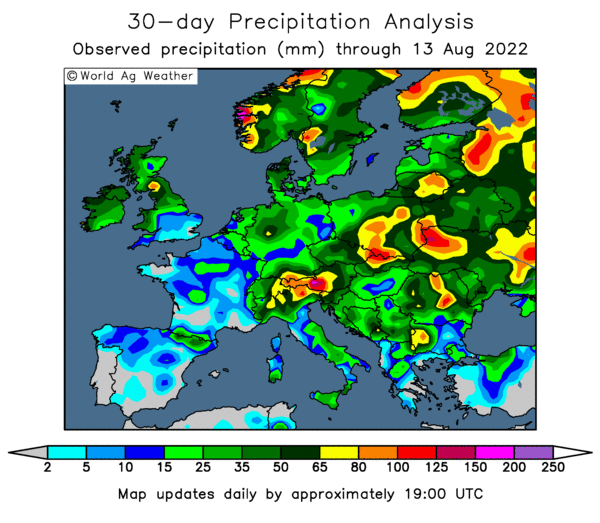 On the fundamental front, Agritel fell into line with other analysts by raising their French soft wheat production estimate to 33.2 MMT following heavy rains in June and July. That's 7% down on last year, but substantially better than what was expected a few months ago. Egypt bought 180,000 MT of Russian wheat and 60,000 MT of Romanian wheat in their tender this week, once again shunning more expensive EU and US grain. Brussels issued 233,000 MT of soft wheat export licences this week, bringing the marketing year to date total to 1.5 MMT, 0.9 MMT down on a year ago. Imports meanwhile are running at 2.2 MMT during the same period, an increase of 1.9 MMT. Hence this time last year we were a net exporter of 2.1 MMT of wheat, so far this season we have been a net importer of 0.7 MMT. Domestic demand from the feed sector remains sluggish at best, and other ingredients competing with wheat in the rations are starting to show signs of capitulating. 18/08/11 -- EU grains finished lower, unable to resist the negative influence of outside markets any longer. London's FTSE100 ended the day down 4.5%, whilst Germany's Dax lost 5.8%, adding to Asian losses overnight as global market jitters returned. UK retail sales data for July was poor, showing a rise of only 0.2% from June and unchanged year-on-year. 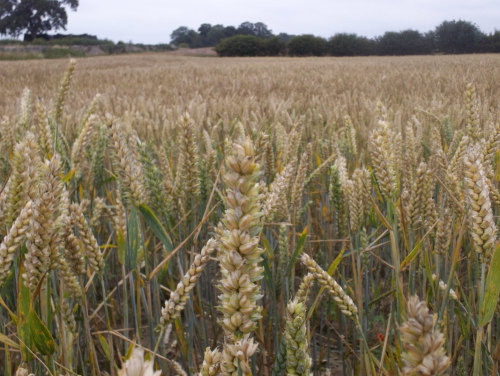 The HGCA estimated the UK wheat harvest at 50% done, saying that "yields are improving as more crops are harvested, but are still below the 5 year average. The average yield to date is 7.3-7.7 t/ha." 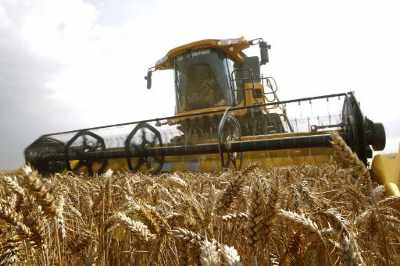 Winter barley harvesting is 95% done and winter OSR 90% complete, they added. 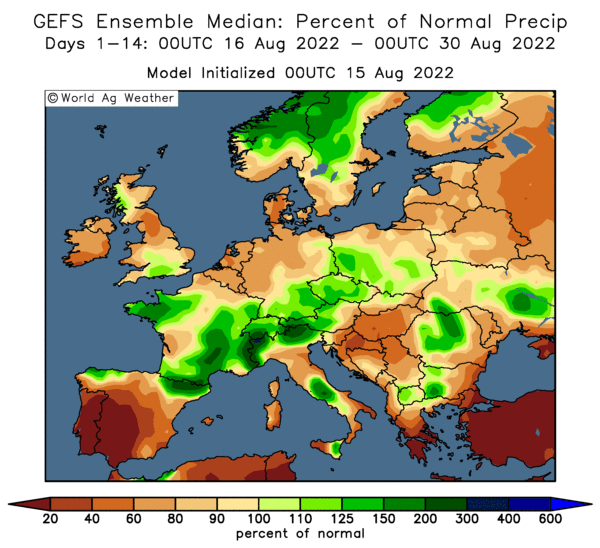 There appears to be an interesting story developing out of Russia with the Federal Weather Centre reporting that the country will harvest in excess of 90 MMT of grains this season off 44 million hectares. The reason that this raises my interest is that the Ministry yesterday reported the harvested area so far at 17.2 million hectares, or 39%, which is 39% of 44 million ha. They also reported the harvested tonnage thus far at 48.5 MMT. Now that would suggest a final grain harvest way in excess of 100 MMT. I'll report more on this one next week, but I seem to recall that in the post-Soviet era bumper production year of 2008 (108 MMT), the Ministry were trotting out what subsequently proved to be extremely low production estimates as late as August of that year. 17/08/11 -- Soybeans: Sep 11 Soybeans closed at USD13.56 3/4, up 16 3/4 cents; Nov 11 Soybeans closed at USD13.66 3/4, up 17 1/4 cents; Sep 11 Soybean Meal closed at USD354.50, up USD3.20; Sep 11 Soybean Oil closed at 55.65, up 65 points. The weak dollar was supportive with funds buying an estimated 6,000 soybean contracts on the day. China said it would auction off 4 MMT from state-owned reserves in an attampt to cap price rises. There is an unconfirmed report that they will only have 1.4 MMT of stocks left after they do that. Trade estimates for tomorrows weekly export sales report range from 400 to 900 TMT. Corn: Sep 11 Corn closed at USD7.11 1/2, down 2 1/2 cents; Dec 11 Corn closed at USD7.25 1/2, down 2 cents. Following on from yesterday's FSA bullish "lost acres" story the vibe today was that many of those may have in fact already been accounted for in the USDA's report last week. Funds sold an estimated 5,000 contracts on the day. Trade estimates for tomorrows weekly export sales report range from 600,000 MT to 1.25 MMT. Wheat: Sep 11 CBOT Wheat closed at USD7.27 1/2, up 2 3/4 cents; Sep 11 KCBT Wheat closed at USD8.23 1/4, up 5 3/4 cents; Sep 11 MGEX Wheat closed at USD9.16 3/4, up 20 1/2 cents. 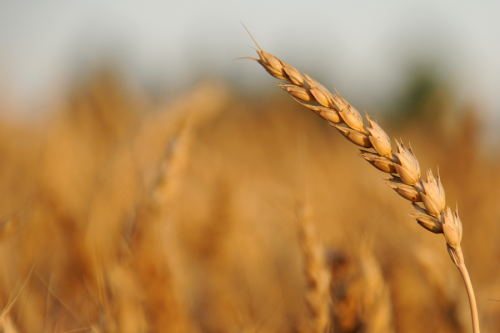 Minneapolis wheat was the leader again on the lower spring plantings storyline. The delayed harvest in the northern Plains and dryness in the south ahead of winter wheat plantings is also causing concern. Funds were said to have bought 2,000 CBOT contracts on the day. Trade estimates for tomorrows weekly export sales report range from 400 to 700 TMT. 17/08/11 -- EU grains finished mixed with Nov London wheat down GBP0.50/tonne to GBP164.00/tonne and Nov Paris wheat ending EUR1.00/tonne higher at EUR200.00/tonne. 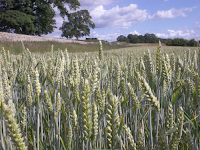 A stronger pound was against London wheat. Sterling rose to a two and a half month high of 1.6590 against the dollar and close to 1.15 versus the euro. The German harvest continues to stutter along with on-off (mostly on!) 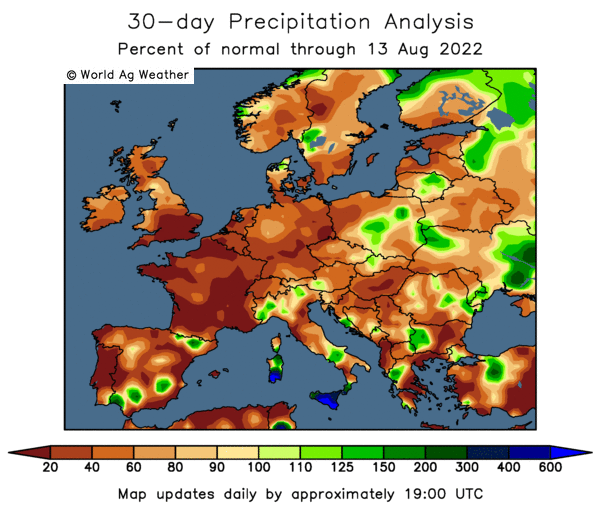 rains throughout July and August potentially damaging both yield and quality. 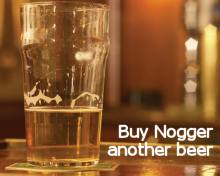 Whilst producers in northern Europe are busy with the harvest they haven't got their minds on selling, not that demand from the compound feed sector is great either. Egypt are back in the market tendering for wheat again, whilst Russian prices have moved up a bit they are still far more competitive than French offers. The Kazakhstan Ministry have increased their mostly spring grain crop estimate to 18.9 MMT from 16-17 MMT previously. 16/08/11 -- Soybeans: Sep 11 Soybeans closed at USD13.40, down 3 1/2 cents; Nov 11 Soybeans closed at $13.49 1/2, down 1 3/4 cents; Sep 11 Soybean Meal closed at USD351.30, down USD0.70; Sep 11 Soybean Oil closed at 55.00, up 9 points. The USDA's Farm Services Agency said that 1.4 million acres intended for soybeans didn't get planted this year with farmers making insurance claims for that area under the "prevent plant" clause. It isn't clear if this means that the USDA will downgrade it's existing planted area estimate or whether those acres are already factored in. Corn: Sep 11 Corn closed at USD7.14, up 6 3/4 cents, Dec 11 Corn closed at USD7.27 1/2, up 7 1/2 cents. As with soybeans, the FSA reported almost 3 million acres of corn "prevent plant" claims. In typical USDA style nobody seems to know how accurate these numbers are, or how much if any, of these are already included within the existing production forecasts. Funds were said to have bought 9,000 contracts on the day. Wheat: Sep 11 CBOT Wheat closed at USD7.24 3/4, up 12 1/4 cents; Sep 11 KCBT Wheat closed at USD8.17 1/2, up 6 1/2 cents; Sep 11 MGEX Wheat closed at USD8.96 1/4, up 23 1/2 cents. Minneapolis gained the most on ideas that much of the FSA's reported 3.8 million "prevent plant" acres will have been spring wheat. As with corn and beans much of this is conjecture and nobody appears to know how much of this is old news. Funds were said to be net buyers of 3,000 CBOT contracts on the day. 16/08/11 -- EU grains finished mixed to mostly lower with Nov London wheat down GBP0.35/tonne to GBP164.50/tonne and with May falling GBP1.00/tonnne to GBP171.00/tonne. Nov Paris wheat was down EUR0.50/tonne to EUR199.00/tonne whist May12 was EUR0.75/tonne lower at EUR201.50/tonne. It was a subdued session with liitle in the way of fresh news. UK inflation rose to 4.4% in July from 4.2% a month earlier, which in theory makes the chances of a domestic interest rate hike a bit more likely. That translates into a firmer pound, which closed at 1.6450 against the dollar, making UK exports a little less competitive. Ukraine's trade ministry unveiled "preferential credit treatment for grain exporters, in an effort to kick-start shipments which reached only 338,000 tonnes in July," according to Agrimoney.com. Despite the country's bumper harvest this season exports have lagged those of neighbouring Russia, who say they shipped 3 MMT out of the Black Sea in the first five weeks of the 2011/12 marketing year, dogged by red tape and governmental unwillingness to issue VAT refunds to grain exporters. Anecdotal reports suggest that some of the "big boys" in Ukraine are starting to tire of the constant struggle to conduct their day to day business in the country. Russia's Ag Ministry meanwhile say that the country has harvested 48.5 MMT of grains so far off just 39% of the planted area. They must be expecting one heck of an abandonment rate if you do the maths on that one to only be expecting a harvest of 90 MMT this year. 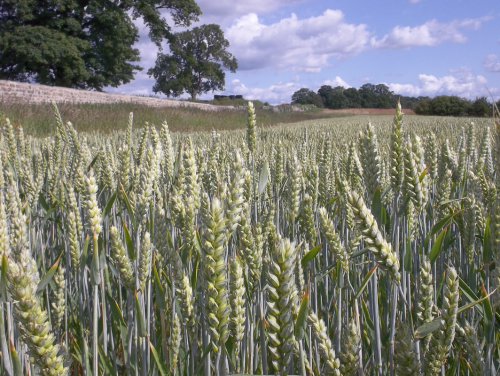 Yields so far have averaged 2.81 MT/ha they say, an increase of 33% on last year. At home the wheat harvest has spread as far as the North East I hear, with growers generally more concerned with harvesting than marketing their crops. London wheat seems to have developed a reluctance to trade below GBP160/tonne, whilst Paris wheat appears to not want to break the EUR200/tonne mark, so I guess you could say we are rangebound for the time being. 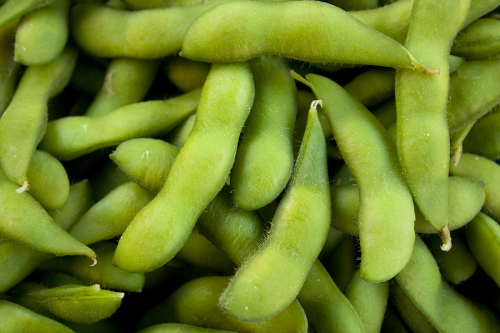 15/08/11 -- Soybeans: Sep 11 Soybeans closed at USD13.43 1/2, up 15 3/4 cents; Nov 11 Soybeans closed at $13.51 1/4, up 16 1/2 cents; Sep 11 Soybean Meal closed at USD352.00, up USD4.90; Sep 11 Soybean Oil closed at 54.91, up 75 points. Beans derived support from the general sense of calm in commodities and equities following a weekend that threw up no great economic surprises for once. Weekend rains were deemed to have been a bit disappointing in parts of the Midwest, although the USDA left good/excellent crop ratings unchanged at 61% after the close. The NOPA crush came in at 123 million bushels for July, towards the high end of expectations. Corn: Sep 11 Corn closed at USD7.07 1/4, up 5 1/2 cents; Dec 11 Corn closed at USD7.20, up 5 1/2 cents. Lower than expected weekend rains, a weaker dollar, strong crude oil and firmer equities underpinned corn. The USDA export inspections report was however lower than anticipated at 27.567 million bushels. After the close the USDA reported good/excellent crop conditions at 60%, in line with expectations and unchanged on the week. There was a shift of one point from excellent into good whilst poor/very poor also saw a one point reduction from 16% last week to 15% this time round. Wheat: Sep 11 CBOT Wheat closed at USD7.12 1/2, up 10 cents; Sep 11 KCBT Wheat closed at USD8.11, up 15 cents; Sep 11 MGEX Wheat closed at USD8.72 3/4, up 11 1/2 cents. Saudi Arabia bought a combo of wheat over the weekend including some of US origin with Canada and the EU also featuring. Dryness in the southern Plains is a concern with winter wheat plantings there not too far away. 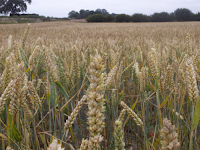 The USDA pegged the 2011 winter wheat harvest at 91% complete. Spring wheat harvesting was 13% done with good/excellent running at 66%, unchanged on last week. 15/08/11 -- EU grains finished with Nov London wheat up GBP1.60/tonne to GBP164.85/tonne and Nov Paris wheat EUR0.75/tonne higher at EUR199.50/tonne. The market nudged a little higher "just because" as nothing too bad happened over the weekend for once. European and Asian equities were modestly higher and Wall Street came in likewise. Ukraine's Ag Ministry said that the wheat harvest there is 98% complete, producing 22.6 MMT, and the barley harvest is also 98% done with output so far at 9.3 MMT. Both figures are well ahead of the USDA's recent estimates of 21.0 MMT and 8.5 MMT respectively. There hasn't been too much sign as yet of Ukraine getting particularly aggressive in the export market, possibly due to internal tax and quota issues, but that will surely come. Algeria bought 500,000 MT of wheat of an unspecified origin (which usually means French) over the weekend. 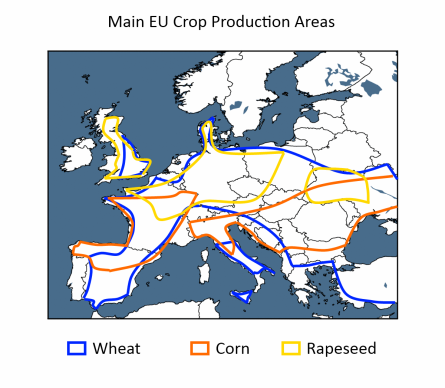 Saudi Arabia said that it bought 660,000 MT of EU/US/Canadian wheat over the weekend. I don't suppose that Russia will be smarting too much at not getting invited to that particular party. Germany's DRV cut their estimate for the domestic grain crop there from 41.2 MMT to 40.3 MMT, an 8% drop on last year.